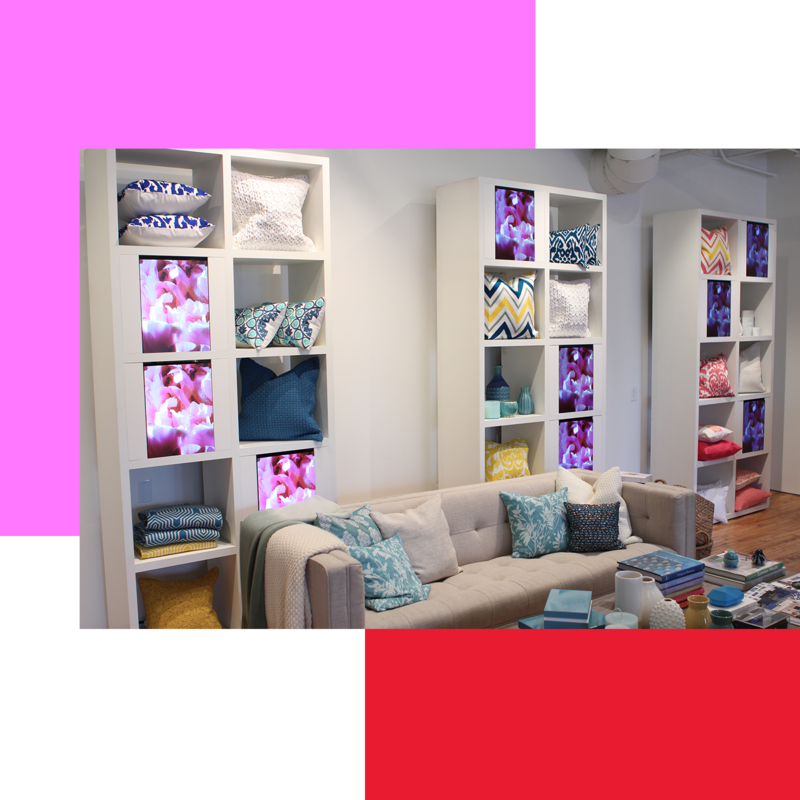 Phosphorus Media worked with Indigo to integrate digital displays into their 2013 Spring and Summer preview. Twelve Christie MicroTiles were used to display ambient content of flowers blooming. Each of the tiles was strategically placed within the bookshelves to create a dynamic and visual looking display. 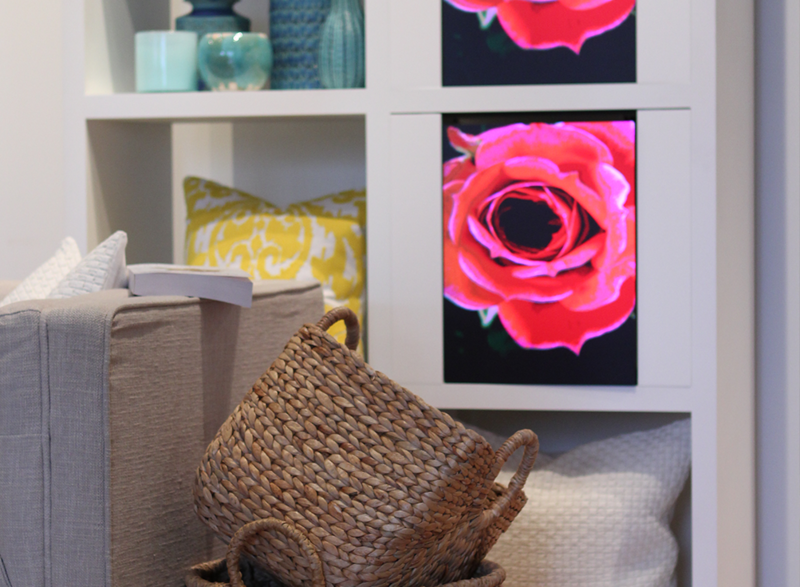 The subtle animation of the content and the tight integration of the hardware helped provide a very unique and warming atmosphere for guests. The tiles and specific content helped complete the overall feeling of spring and summer in the air!